While a student at Ranburne High School, Kimie was president of FCA and RHS Student Council. 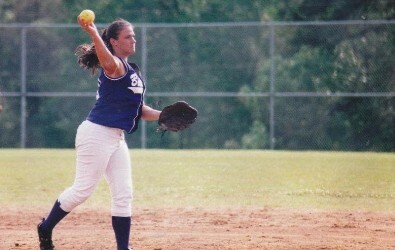 She was a member of both the softball and basketball teams. When asked how Cleburne Schools prepared her for life after high school, she replied, “RHS provided me with confidence to chase my dreams. They set the bar high and always made sure I knew they believed in me! Mrs. Gibbs checked in on me throughout my college career and still does to this day. My coaches helped instill discipline and hard work. My teachers provided direction and ultimately helped me pick my career”. Her participation in athletics and the friends she made are among her favorite memories of attending Ranburne High School. 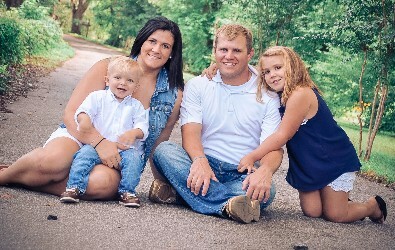 Mrs. Meadows added, “I married my high school sweetheart Dustin Meadows and we now have 2 children, Karoline (7) and Landry (2). I am the Speech-Language Pathologist for RES/RHS and all surrounding daycares in our area. My degree allows me to work in multiple settings. In the afternoons, I provide Speech-Language services in the home health setting for individuals with motor speech disorder, neurogenic disorders and swallowing difficulties. My family and I attend Union Hill Baptist Church. We enjoy traveling and taking short spontaneous trips!”. 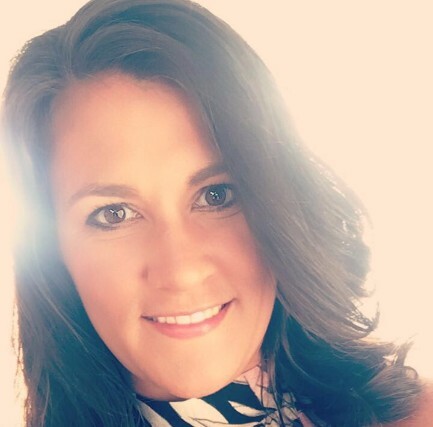 Her post-high school education and certifications include: Bachelor of Education in Speech-Language Pathology from the University of West Georgia. Master of Education in Speech-Language Pathologist. Certificate of Clinical Competence (CCC), a nationally recognized professional credential that represents a level of excellence in the field of Speech-Language Pathology (CCC-SLP). State Licensure in Alabama and Georgia for Speech-Language Pathology. Teacher certification for Speech-Language Pathology.